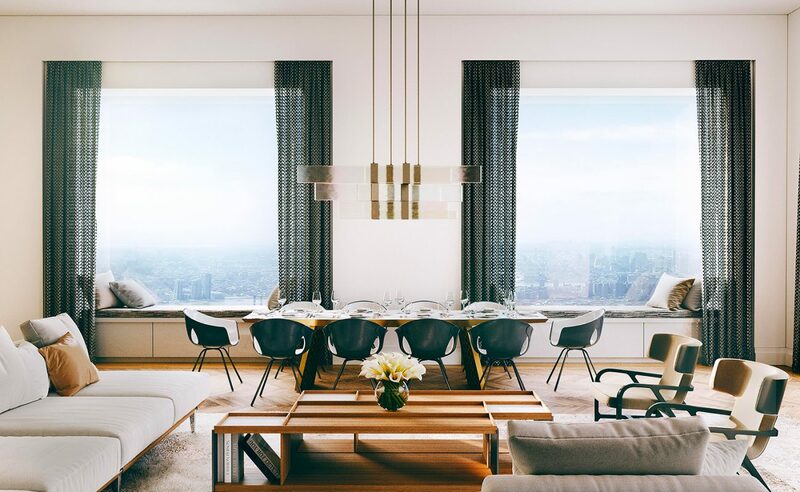 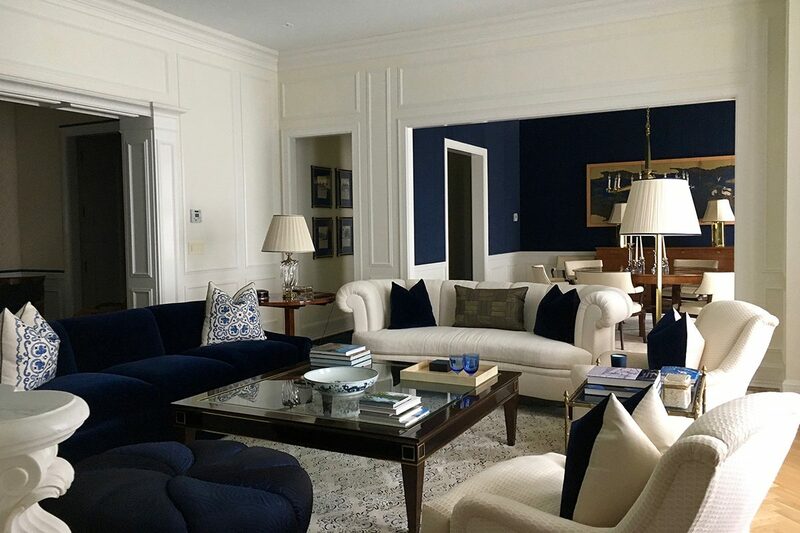 Anthony Chase Studio has been successfully handling the most delicate projects in New York and Connecticut residences for over two decades. 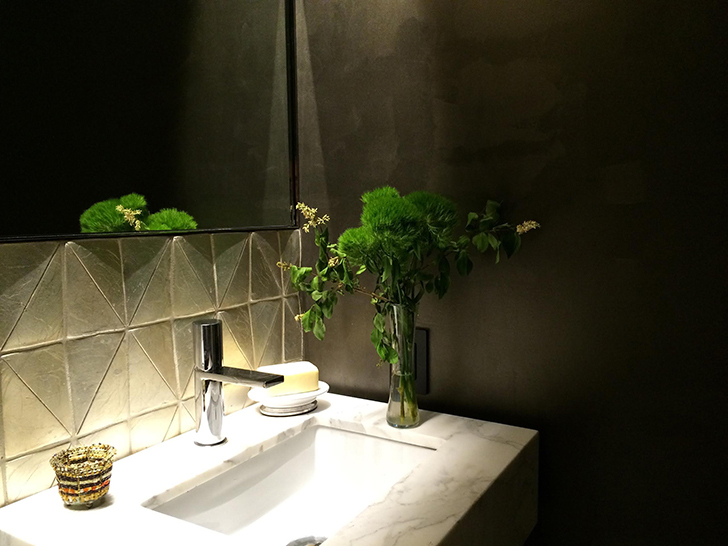 Color consulting, artisanal plasters, custom finishes — your wish is our command. 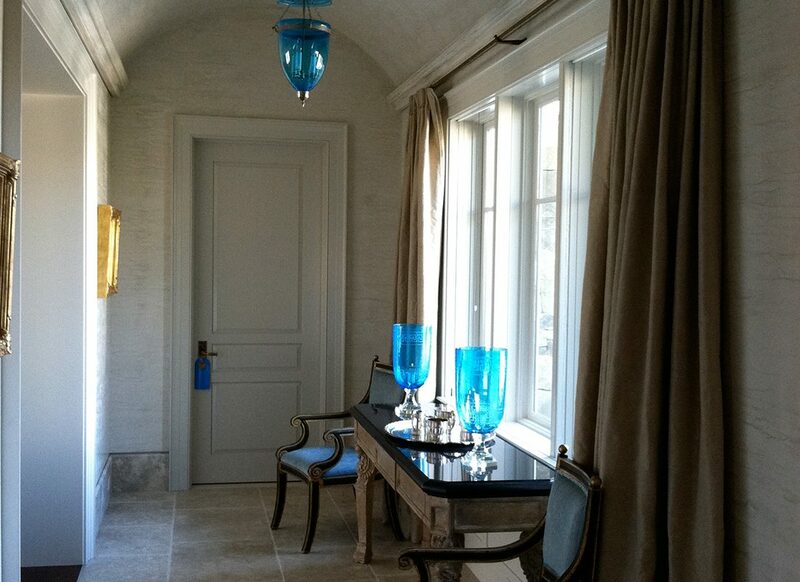 We painted the stunning black hallway in this gorgeous Park Avenue Residence. 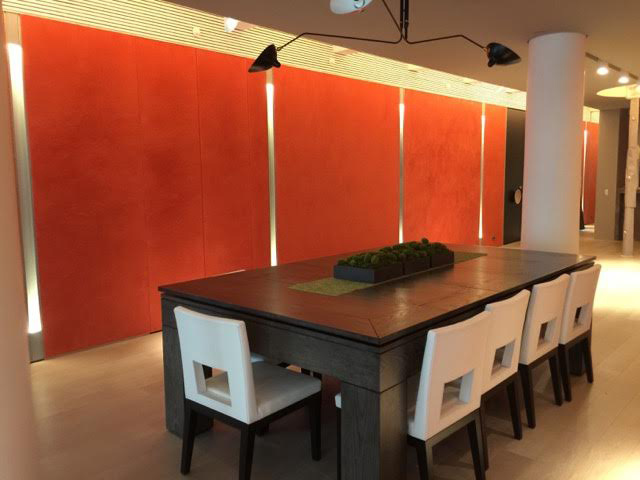 This Park Avenue Brownstone features Terra Grosso plastered walls. 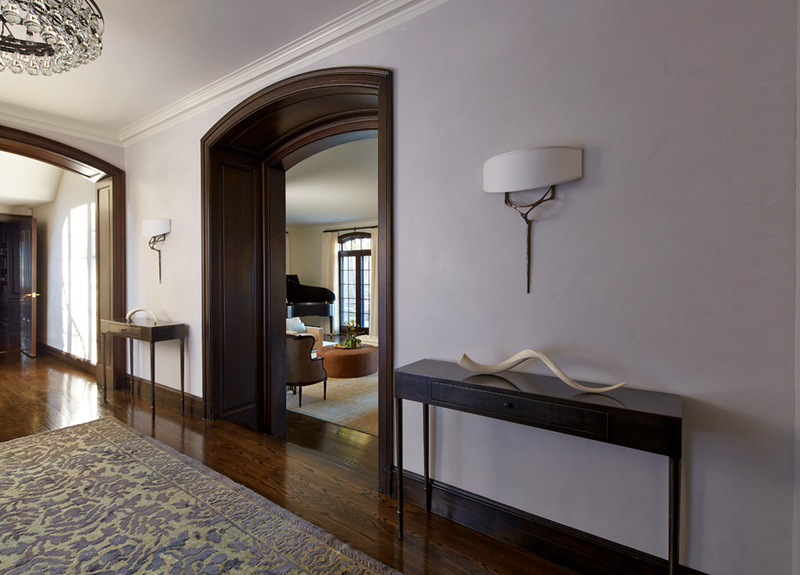 This gorgeous residence on Central Park West features a Classic Venetian barreled ceiling, textured walls & detailed moldings. 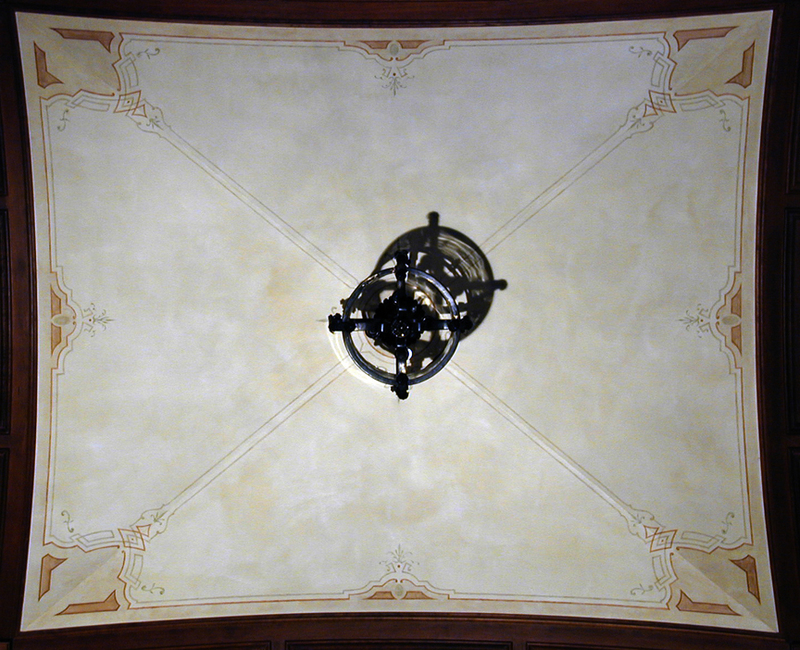 Some of our fine French Plaster work in this beautiful Greenwich Connecticut home. 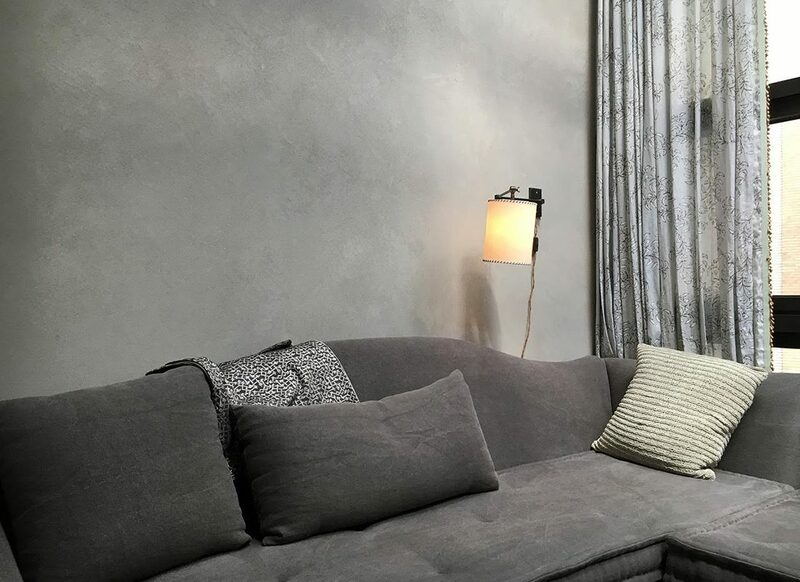 A modern country home in Duchess county with artisanal French plaster walls. 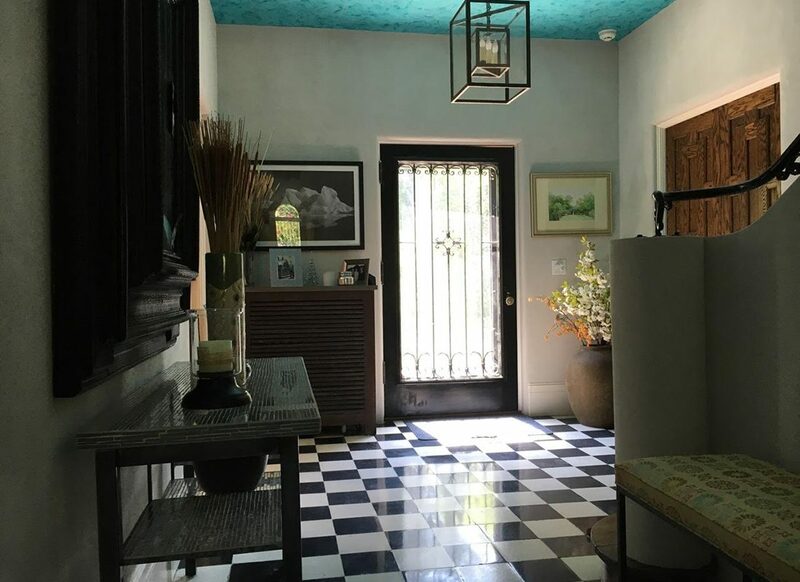 This Glenn Gissler Design includes a dramatic red staircase as well as a master bathroom involving a Black Venetian plaster and propriety-blended St. Germain gilt creme and Gun Metal polish. 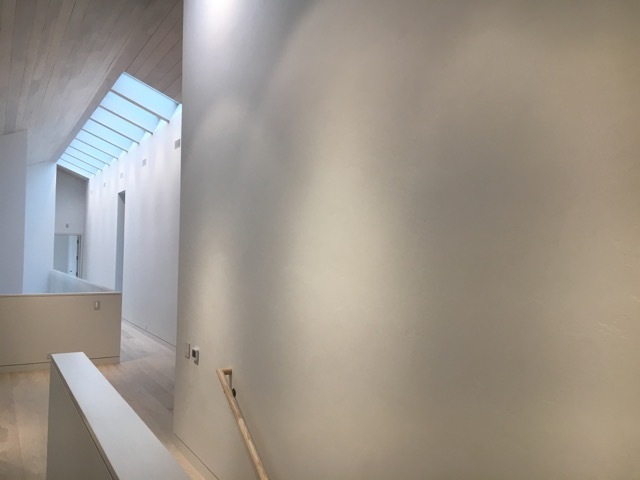 This lovely mansion proved a showcase for some of our finest work, including combed argyle plaster, Travertine Venetian barrelled ceiling, Travertine Venetian walls and a Carrera Venetian barreled ceiling. 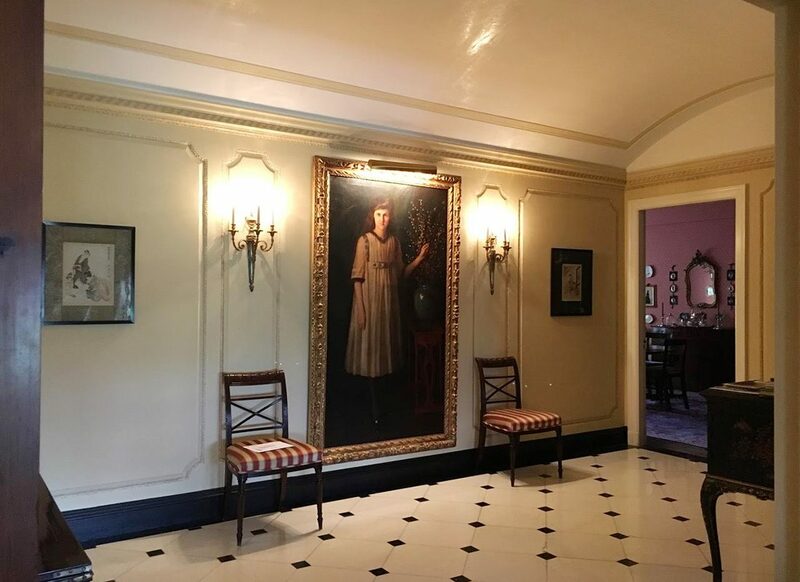 This magnificent estate boasts much of our finest detail work, including a Carrara Venetian entry hall and stairway, as well as faux bois cerusing on the trim in the kitchen. 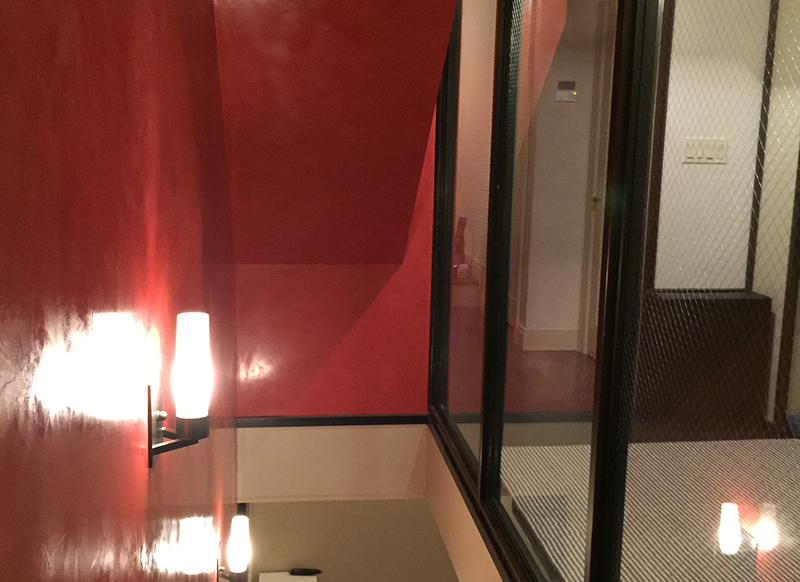 Red Venetian and Black Venetian entry. 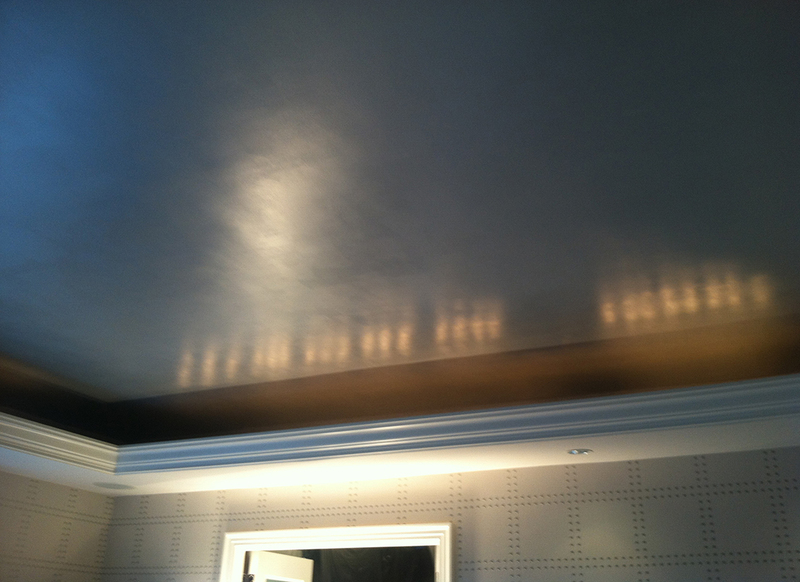 This residence allowed us to showcase these striaed and gold pinstriped walls and a trowelled metallic gold ceiling. 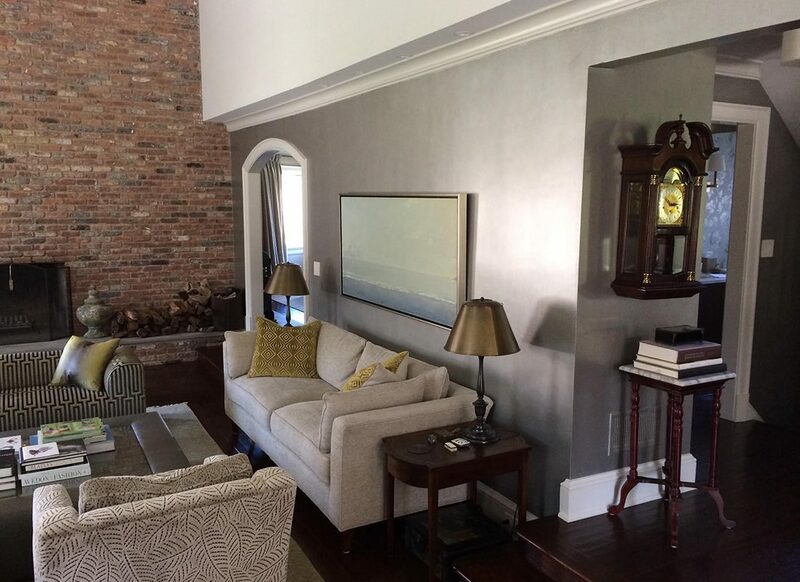 This lovely home in Greenwich featured some of our work in Trowelled Metallics. 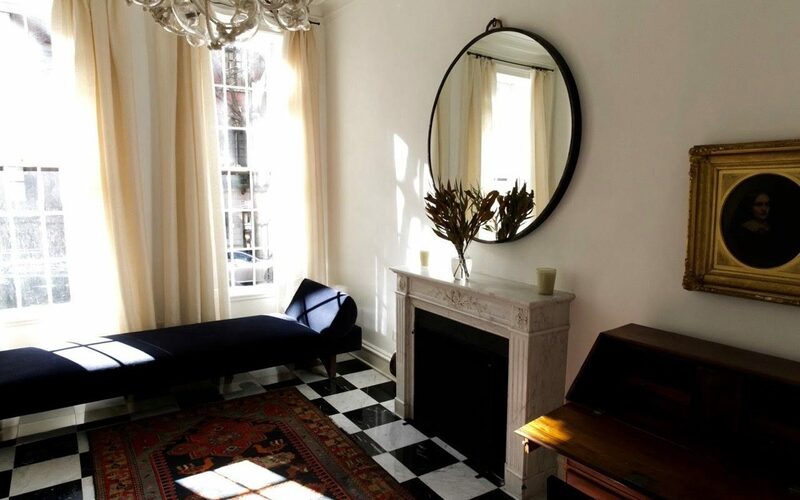 We did some delicate work at this fine apartment. 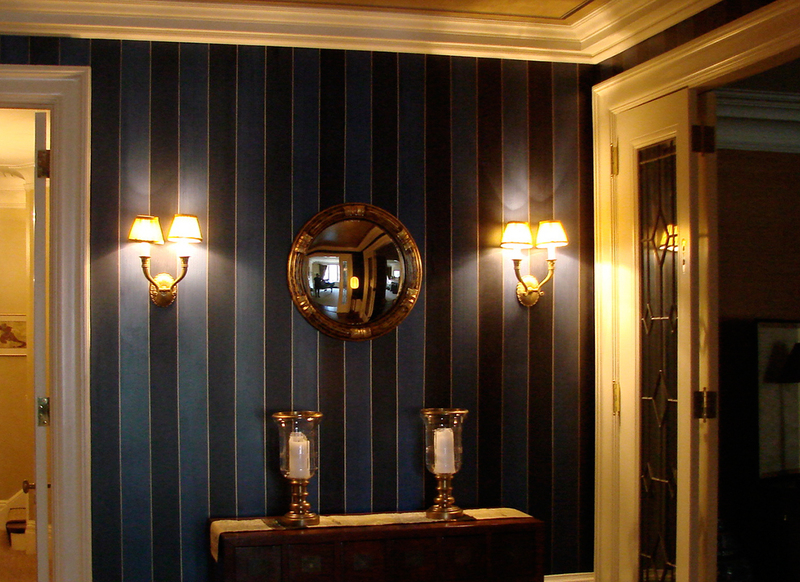 Pictured below: Powder Room with black Pearl trowelled metallic with Rambouillet gilt creme; Master Bath with Classic Venetian and “Mother of Pearl” micas; and Breakfast Room with Carrara Venetian, Portland Gray Burnished. 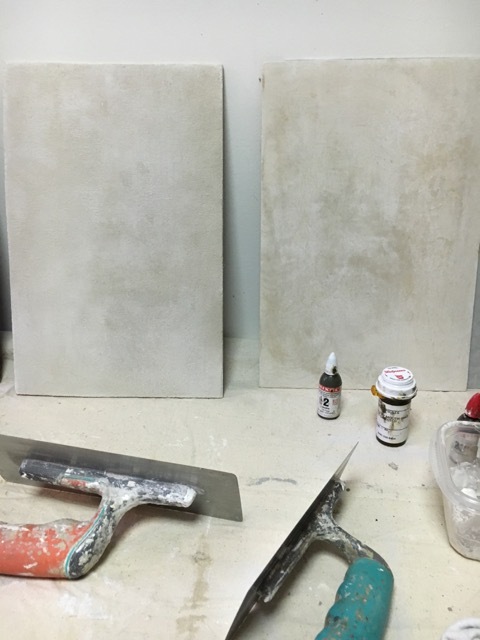 Developing finishes for an Axel Vervoordt inspired fireplace wall. 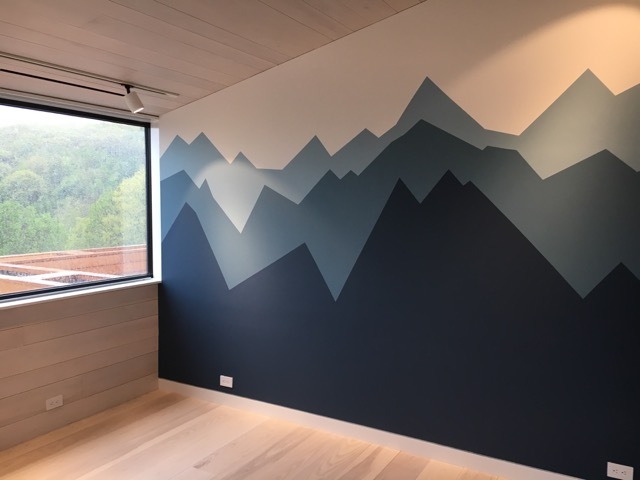 A mural of Ombre mountain ranges in a kid’s room.